Have you ever asked yourself why some especial brands have been loved by customers? Simply, because they earned its own place in the mind of customers and showed exactly as committed. If doing this, brands can’t help but be loved by customers. 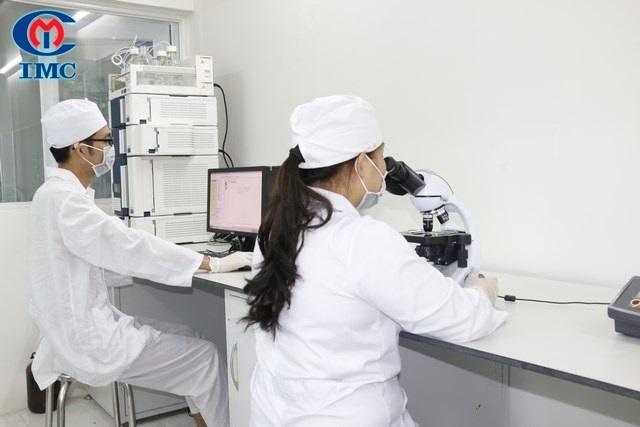 IMC company was positioned itself as one of the most Premier Researcher and Manufacturer of Dietary Supplements with the customers and the partners in Viet Nam. So, they always expect the perfect quality of products and services. Especially, the higher quality of life is, the higher demand of customers is. Then there is no other way, we have to improve the quality of products and services, enhance our competitiveness to meet the increasing demand of customers and get the trust of them. Products and services of IMC are the results of every IMC employees. Quality of products is only ensured if when each IMC staffs understandS the meaning and standards of IMC’s product and services so that they have the attitude of respect and give the whole mind to create quality products and services. Attitude and awareness of staffs are the important factors determining the Company’s capability. The attitude of willing to learn and understand the role of each individual helps build a professional working environment, delicate and spread good values; all this will help accomplish the mission of the company — Improving community health and building community wealth. Attitude can be exercised through learning, working and living habits daily. You can imagine how the attitude of a staff working in a messy factory with uncleaned equipment, out-of-place tools might be developed. “It is OK” will be the sentence daily of the employee. – With the conscientiousness in researching new products, IMC is creating high-quality products for community health, leading in the market, aiming at new customer segments, gain a competitive advantage over other companies. – With thorough production, IMC complies with GMP principle to create the quality, safe and effective products. So that, success comes only when you work hard and always think of the good things.